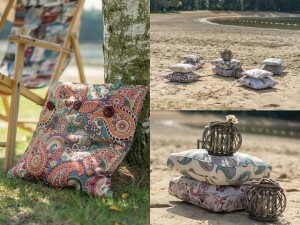 We are delighted to introduce our new product to Dress Fabrics this week!! It’s a Sewing magazine – dedicated to providing beautiful sewing patterns for women in a size range 34 – 52 (UK sizes 2 – 24). 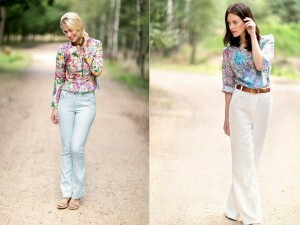 MyImage is produced twice a year – one issue for spring / summer and one issue for Autumn / winter. I got the A/W 15/16 issue last winter and was seriously impressed with the patterns – I only got to make one or two of the patterns but the sizes were good and the instructions were easy to follow. 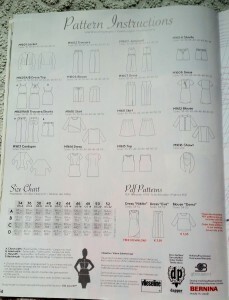 The pattern sheets are similar to the likes of Burda etc but as there are not the volume of patterns they are spaced out better and much clearer to follow. This new magazine is jammed packed with ladies sewing patterns – sew up your entire summer wardrobe from this issue alone. It includes 16 separate patterns plus variations and a free downloadable pdf dress pattern and options to purchase a further two (a dress and a top) pdf patterns for €3.95 each. Find your copy here on our website. 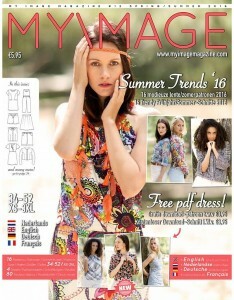 There are trousers, shorts and jeans patterns, cardigan and shawl, tops, blouses and shirts, skirts and dresses and a jumpsuit in this issue of MyImage Magazine . You can flick through the magazine here. The instructions come in English, French, German and Dutch. Some of the more complicated patterns have illustrated instructions. There is also detailed instructions on how to insert an invisible zipper. Each issue of MyImage Magazine also has an inspirational section for household items to make, this time it’s a deckchair seat and square cushions. Coming soon – a new range of summer fabrics are arriving this week in Dress Fabrics HQ – perfect fabrics to make the patterns from MyImage :).